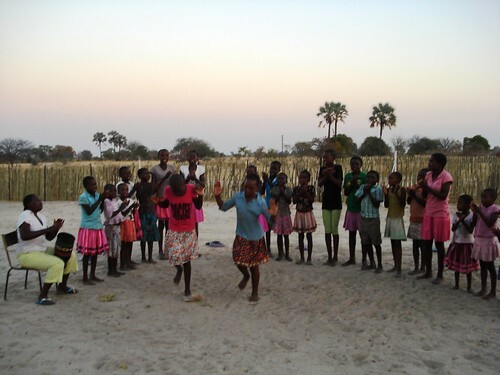 Flight Centre’s own Gemma Budd was lucky enough to experience life in a local Namibian community on a recent trip to Africa. Here are some photos from her trip. 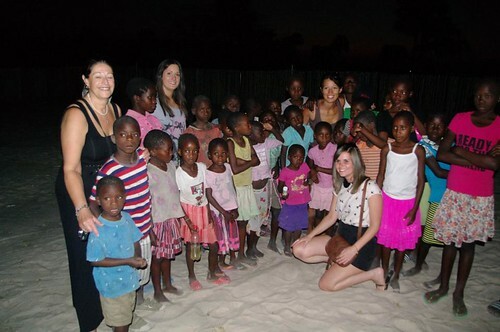 Arriving in Namibia, we were catapulted into our first adventure… camping in the bush! After first night, we were lucky enough to meet the San Tribe, who live in traditional mud huts. Although these people asked for nothing, they gave us an opportunity to come into their lives, look at their homes and also to take pictures. 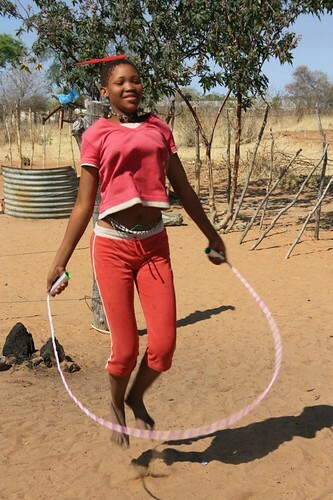 We took a few gifts to say thank you and to break the ice – bubbles for the kids and skipping ropes for the older children. The sheer excitement and appreciation was fantastic and really gave us an opportunity to start communicating with the tribe. 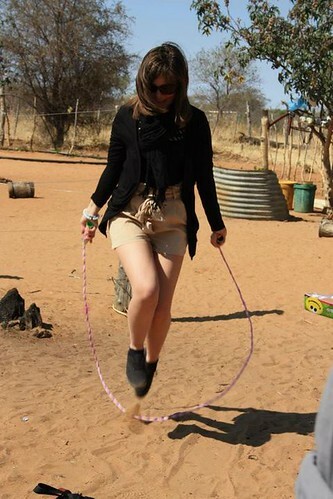 Here I am attempting to teach one of the San tribe to skip! ... I think she was better than me! Visiting the San tribe is part of a new cultural experience that allows you to meet people in their homes. They aren’t used to tourists and were fascinated by the camera! We only touched the surface of Etosha National Park and spent just a few hours there. 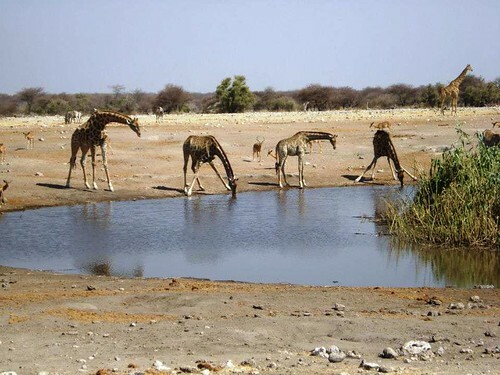 However, we were lucky enough to get some great shots of wildlife – like these giraffes. The highlight of my trip was when we visited a small village called Ongula. Reached to by a road made entirely out of sand and without a sign post in sight, this was definitely what most would call ‘off the beaten track’. Here, we were lucky enough to be treated with such warmth by the locals. We were invited into people’s homes, visited local shebeens (local pubs) and were given a performance from the local children’s choir. Having fun with the children after their performance. After a long and tiring day in the minivan, our guide got chatting to a group of local children. Their school was over three miles away and they had no way to get there so they all piled into our van. On the way they sang school songs and their national anthem with big smiles and with pride. 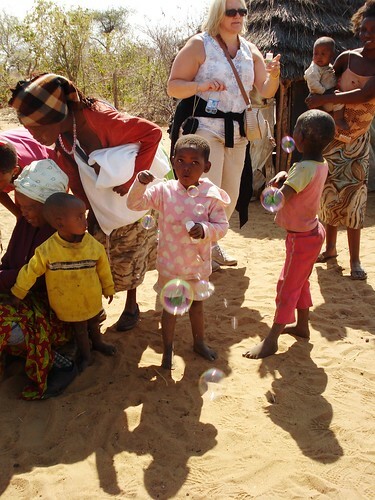 Our trip to Namibia was all about the people, their hospitality, warmth and friendliness. This last picture I hope shows the fun and happiness of these people. We saw this group of people fishing by the side of the road and decided to pull over and have a chat with them. We ended up spending over half an hour with them - sharing stories and asking about their fishing techniques. We didn’t ask for their photo, they asked us and gave us their PO Box address so we could send them copy. We have since posted it to them – they had never seen a photograph before. 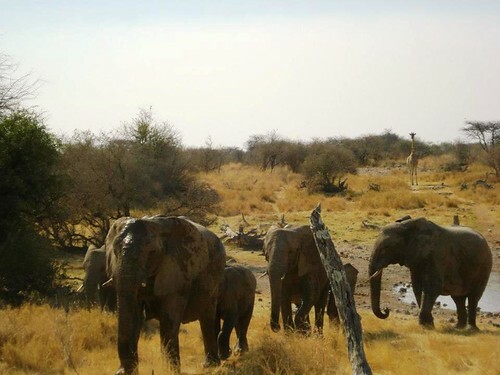 To find out how you can create a similar Namibian experience for yourself, see our Holidays to Namibia on our website, or give your friendly consultant a call on 0208 045 4186.